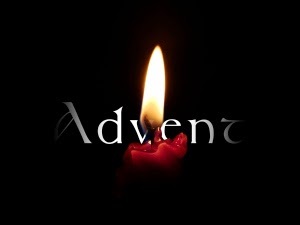 Advent begins this Sunday. It is a very evocative religious season because it is interwoven with hope and spiritual expectation: every time the Christian community prepares to commemorate the Redeemer’s birth, it feels a quiver of joy which to a certain extent it communicates to the whole of society. In Advent, Christians relive a dual impulse of the spirit: on the one hand, they raise their eyes towards the final destination of their pilgrimage through history, which is the glorious return of the Lord Jesus; on the other, remembering with emotion his birth in Bethlehem, they kneel before the Crib. The hope of Christians is turned to the future but remains firmly rooted in an event of the past. In the fullness of time, the Son of God was born of the Virgin Mary: “Born of a woman, born under the law”, as the Apostle Paul writes (Gal 4:4). Today’s Gospel invites us to stay on guard as we await the final coming of Christ. “Look around you!”, Jesus says. “You do not know when the master of the house is coming” (Mk 13:35). The short parable of the master who went on a journey and the servants responsible for acting in his place highlights how important it is to be ready to welcome the Lord when he suddenly returns. The Christian community waits anxiously for his “manifestation”, and the Apostle Paul, writing to the Corinthians, urges them to trust in God’s fidelity and to live so as to be found “blameless” (see 1 Cor 1:7-9) on the day of the Lord. Most appropriately, therefore, the liturgy at the beginning of Advent puts on our lips the Psalm: “Show us, O Lord, your kindness, and grant us your salvation” (see Ps 85:8). “We are taught that God is preparing a new dwelling and a new earth in which righteousness dwells (see 2 Cor 5:2; II Pt 3:13).... Far from diminishing our concern to develop this earth, the expectancy of a new earth should spur us on, for it is here that the body of a new human family grows”. Indeed, we will find the good fruits of our hard work when Christ delivers to the Father his eternal and universal Kingdom. 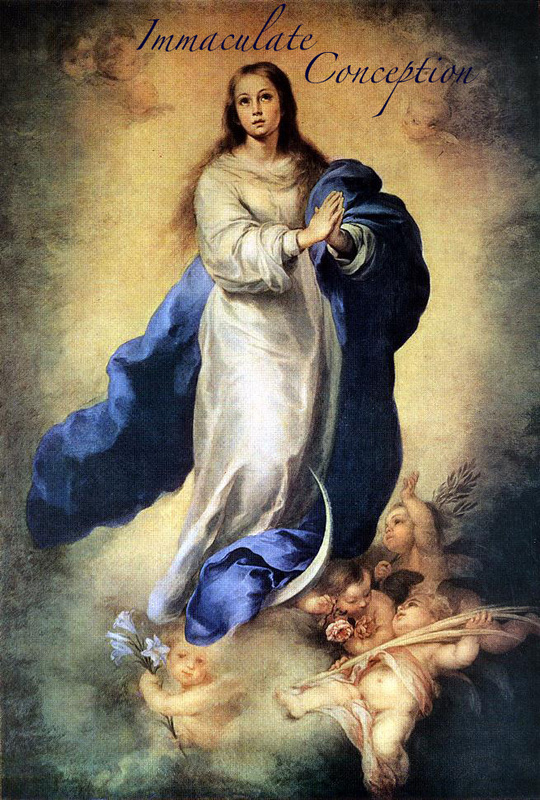 May Mary Most Holy, Virgin of Advent, obtain that we live this time of grace in a watchful and hardworking way while we await the Lord. Will be held HERE AT St Joseph Parish on Monday, December 8, 2014 at 7pm. The Mass will be celebrated according to the Extraordinary Form of the Roman Rite (Missal of 1962). Envelope boxes for the new year will be in the Parish Hall in numerical order starting Nov 22nd. For those using PAG (pre-authorized giving), your envelope box is still available if you wish to use for those additional envelopes for collections outside of the monthly deductions. Please pick your box up at your earliest opportunity. If you are going to be away and cannot pick up your box of envelopes, please contact the Parish Office and we will set them aside for later retrieval. Those left behind in January will be cancelled and the numbers redistributed to new parishioners. We thank you for your assistance and cooperation in this regard. 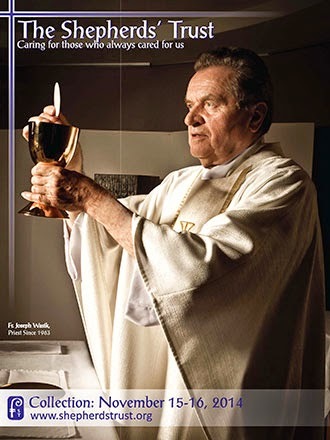 As members of our Catholic community, we regularly benefit from the tireless service of our priests. Called by God and ordained to care for His people, our priests serve our families, in churches, schools, hospitals, nursing homes, missions and on the streets. The Shepherds’ Trust ensures our priests can live their retirement years with dignity. The Shepherds’ Trust collection will take place in all parishes in the Archdiocese during the weekend of November 15/16. Envelopes will be distributed the weekend of November 8/9. This fund does more than just support our priest’s in their twilight years; it represents a very tangible gesture of thanks for the blessings we have received. Your generosity is greatly appreciated. Will be celebrated from Sunday Nov 2 to Monday, Nov 10. Please include names of departed relatives and friends in our Memorial Book (on table in front of pulpit). (All Souls Day), we not only remember the dead, but we apply our efforts, through prayer, almsgiving, and the Mass, to their release from Purgatory. Praying for the dead is a Christian obligation and this custom dates back before Christ, as far as 2 Maccabees. During the entire month of November lists of names of those to be remembered are placed by the altar on which the sacrifice of the mass is offered. There are two plenary indulgences attached to All Souls Day, one for visiting a church and another for visiting a cemetery. The plenary indulgence for visiting a cemetery can also be obtained every day from November 1-8, and, as a partial indulgence, on any day of the year. While the actions are performed by the living, the merits of the indulgences are applicable only to the souls in Purgatory. Prayer for the intention of the Holy Father.